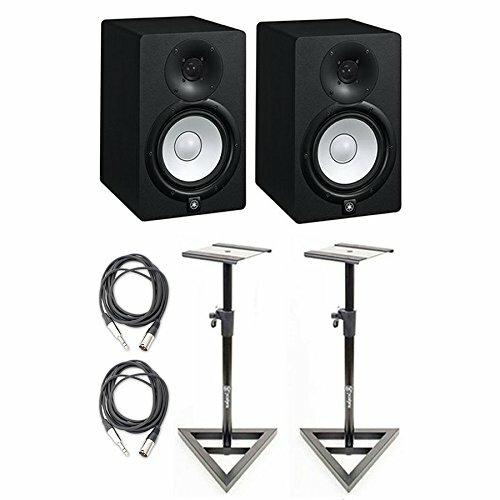 Get everything you need to setup your new studio monitors with this specially priced bundle for a pair of Yamaha HS7 Active Studio Monitors, which also includes: (1) Pair of Monitor Stands to properly position and support the studio monitors, and (2) 15 ft. 1/4 in. TRS to XLR Male cables to connect the inputs of the monitors to the outputs of an audio interface with 1/4 in. TRS outputs.